BRASELTON, Georgia (May 13, 2018) – Fredric Aasbo earned another podium at Road Atlanta this weekend, facing down fierce rivals to reach the final round. Aasbo has now stood on every step of the podium this year and leads the championship points as the 2018 season approaches its mid-point. Aasbo landed in second after the final head-to-head battle of the night against rival Kristaps Bluss went to a One More Time round. The fans who packed into Road Atlanta were thrilled to see the competition come down to a no-holds-barred rematch between the two drivers. 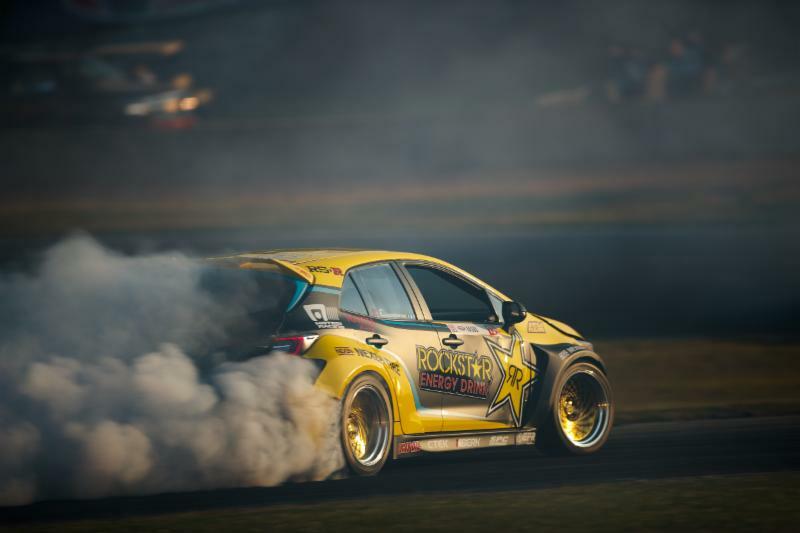 In the end, Aasbo would record a second-place result and extend his lead in the championship points. Aasbo is the most-winning driver in Formula Drift history, but he has never earned victory at Road Atlanta. Balancing blistering performance against the risk of error paved his way to the podium this year. Earlier, Aasbo locked in the No. 3 qualifying position to earn a bye past the opening bracket. In the Top 16, he received a unanimous decision to advance past Dan Burkett and then faced down Chelsea Denofa in the Great 8. He battled past champion Chris Forsberg to reach the final. The Atlanta event saw a typically packed house, and a lively online audience tuned in worldwide to enjoy the action. Recently released attendance numbers from last month’s opener showed 20,000 fans filled the seats of Long Beach, with 1.7 million tune-ins to the series’ popular livestream. Packaged content picked up another three million views across social channels including Instagram, Facebook, YouTube and Twitch. Next, the series celebrates its 100th event in Wall, New Jersey (June 1-2). Aasbo has won twice in New Jersey, scoring his first career victory there in 2014 and following it up with another win in 2015, en route to the championship title that year. Third podium in three rounds for Fredric Aasbo at Road Atlanta this weekend.